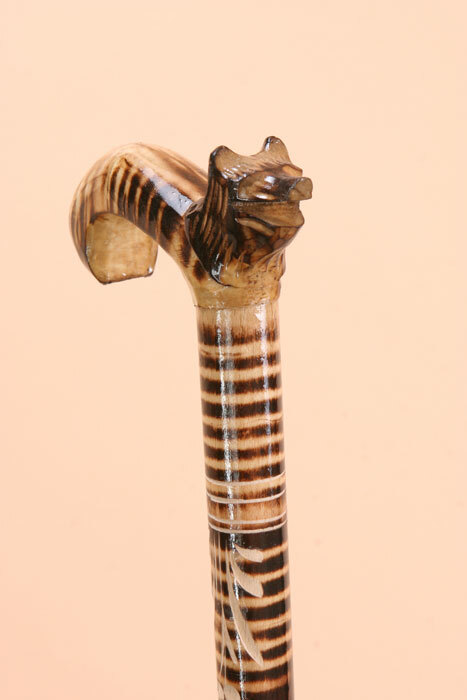 Exquisitely hand-carved cane crafted in Poland for decoration use only. Each cane measures between 35" and 41" tall. The shade color of the wood stain and hand-carved designs may vary slightly from pictured.